The details are still in the works but it looks like I am going to be able to offer fly fishing lessons as part of your stay at Aspen Ridge RV park. Of course there will have to be some ground rules about how long you stay and then the amount of time I can spend with you but all in all, I think I can offer anyone valuable information and tips on catching the elusive trout on a fly. I will offer different classes with real time fishing on the area streams and also some lessons for those of you wanting to fish in the lakes. 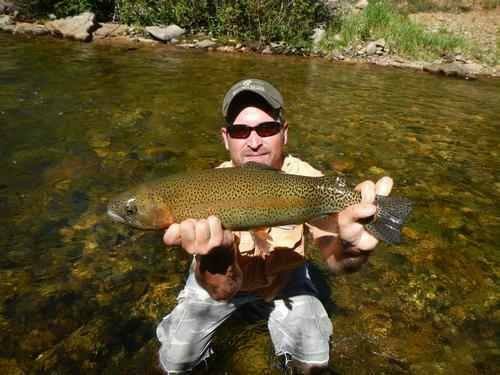 This will be a good way to introduce you to fishing Colorado and actually go out and catch some fish. So check with me or Aspen Ridge RV Campground in South Fork for details. All images and content property of Trout Republic.